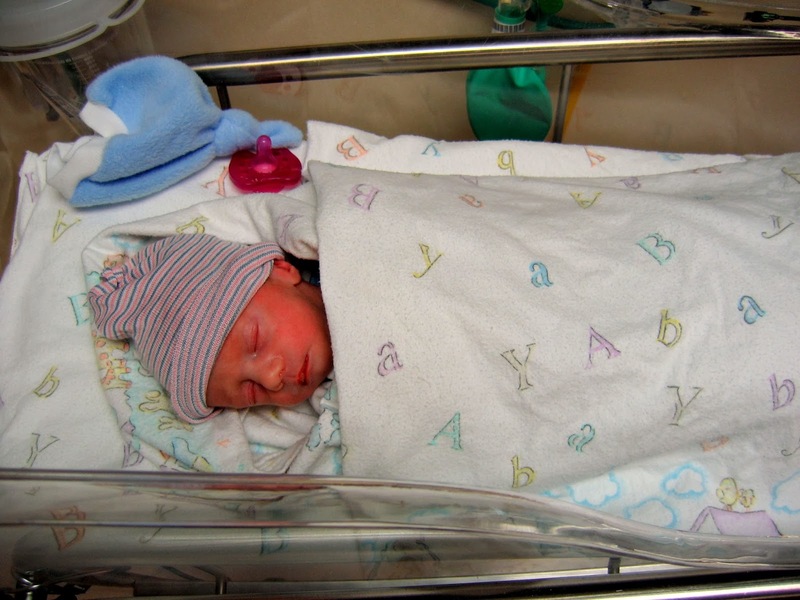 That's right ... eight years ago, I became a mother and first met my little boy. 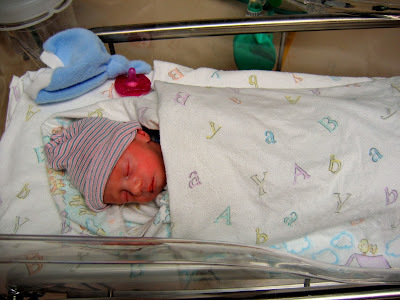 I can hardly believe Joshua is turning eight years old today. Sweet Joshua! He was so little for so long ... at that point I could never imagine him as a little boy, let alone as an eight-year-old. Now he is so grown up. What a year this has been for Joshua! We started the year in Scotland, moving back to the States just after he turned 7. After homeschooling for the second half of first grade, Joshua started second grade in the local public school in September. And loves it! He has a great teacher, who is really working to stretch him and inspire him. I have seen significant growth in his math skills and problem solving. But I am really most excited about the corner he has turned in his reading and writing. He writes the best little essays and stories... they remind me of the type of things Darren use to write as a kid. His essay on pizza was fantastic, claiming at one point that "...eating pizza is like having a party in my mouth." Joshua has always been a strong reader for his age, since he first learned how to sound out words and memorize sight words. Now he devours anything he gets his hands on. He is currently rereading his Magic Tree House books, often reading the entire book in one sitting. He has also started reading the boxcar children mysteries. For the month of November Joshua's school had a read-a-thon. He was determined to read at least 1800 minutes in the month, and finished strong at 1959 minutes total in 29 days. Crazy! I think his reading style comes directly from me. Now we are just waiting to hear if he won one of the Kindles they are giving as a prizes! Joshua has found a new fascination with the idea of 'States' that make up the entire country. He had so little exposure to U.S. geography and it has really captured his interest. He checks out books about the states, pours over maps of the states and, most recently, has started keeping track of all the states' license plates he sees. Since he started tracking these at the end of September, he has seen all the states except 3 (Vermont, Delaware and Mississippi)... it helps that we live in a military town, where many people frequently move from other states. This year has also marked a change in Joshua's interest in spiritual growth. We gave him his own Bible as a back-to-school gift. He has begun to look up stories and read passages of scripture for himself. He also checked out a large comic-style storybook Bible from our church library that he has read cover to cover. That has created some interesting conversations (like "why did Cain kill his brother? How old was he when he did this?" etc), but I love that he is interested enough to talk about these things. And as a big brother ... I am so proud and pleased by the way he takes care of his little brother and his little sister (though the latter sometimes requires more reminders from mom). Joshua has a special love for little Micah, and they both enjoy each other so much. Joshua likes to teach Micah new things and LOVES to make Micah laugh! Micah especially loves Joshua's expressive physical humor. Joshua still enjoys puzzles and games. He makes lists about anything and everything (I think it is the way he processes information and enthusiasm). He still loves trains and firefighters. He has also spent the last year learning everything you could possibly imagine about 300+ species of dinosaurs; he even read the paleontologist's dinosaur encyclopedia almost cover to cover (it doesn't even have pictures, except for a few sketches). I love Joshua's enthusiasm and passion when he puts his mind to something. He is a studious, focused, persistent little guy. He is still shy and quiet, plays alone most of the time. I am continuing to pray for a heart of compassion and love, so that his attention to learning does not overpower his ministry to people around him. I am so thankful for these last 8 years with Joshua. In the coming year, I pray he will grow in grace and in his knowledge of our Lord Jesus Christ. May the love of Christ rule in his heart, and fill him to overflowing.